Summer. It’s a season we long for in the midst of winter, plan for in the blossoming of spring and fondly recall in the crisp autumn air. It is here, but almost gone, forever coming and going like the rhythmic nature of the ocean’s tide and perpetuating a sense of longing most acutely felt in the remembrances of innocent days from our childhood past. Summer is light and airy, colorful and calm. It is waves, rivers, streams and sand; mountains, hillsides, gardens and picnics. Summer is the intensely vivid ocean sunrises and the heavenly, soothing evening skies. 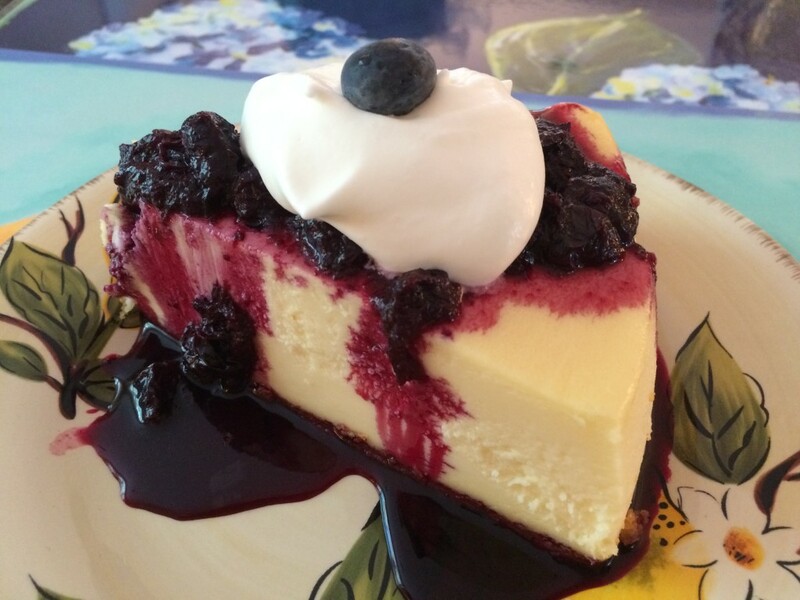 Happy National Cheesecake Day! While not many people we know care for cheesecake, a good cheesecake, such as the Cheesecake Factory’s Banana Cream Cheesecake and the Devil’s Food Cheesecake at Junior’s in New York City, is hard to resist. Georgia peaches have been on my mind lately after enjoying a melt-in-your-mouth, warm peach cobbler dessert with homemade butter pecan ice cream at Hogs Head Restaurant in Bluffton, South Carolina. I first read Anne Morrow Lindbergh’s* Gift from the Sea in my late twenties, early thirties when I was a busy young mother of three with an innocent, idealistic view of the world and the life I had ahead of me. I remember it as a neat little book that spoke to the duties and responsibilities of raising children, and the never-ending business of making and keeping a home. I remember thinking to myself how lucky she was, as a mother of five children, to be staying at a beach house by herself with enough time to compose such beautifully expressed sentiments, written in such a calm, lyrical and soothing manner. Time to get cooking! The Fourth of July is almost here which means it’s time to gather “Around the Table” to celebrate all things red, white and blue. Below you’ll find some “red, white and light” recipes for a family picnic or barbecue that are refreshing, cool and easy to make. Happy Fourth! Tres Leches (Three Milk Cake) is a cake that is popular in the Latin American countries, predominantly Nicaragua, Mexico, Cuba, Puerto Rico and Guatemala. It can be surprisingly easy to neglect the history and symbolism of July 4th, otherwise known as Independence Day, when surrounded by family and friends, a picnic table full of delicious summer treats and an explosion of red, white and blue fireworks. The rhythmic nature of our daily routines and habits does not lend itself to a full appreciation of the basic principles and values upon which our country was founded – including freedom, security and lawful order – particularly when we have never encountered an experience that denies us those very things. In celebration of the Fourth of July, we’re sharing the lyrics of two of America’s greatest songs below, together with pictures from across the country – from sea to shining sea! See also our reflection on “all things good” in America and recipes for a July picnic.